Our client roster reflects our deep commitment to social issues that impact children, families, and communities. We have a purposeful and limited client roster to ensure we can be the most effective and influential in educating key decision makers on our clients’ behalf. The organizations below reflect past and current clients. Black Family Development, Inc. (BFDI) seeks to improve outcomes for children, families and the community. They offer a continuum of programs and services, engages the total community, and works in partnerships with others to provide the best outcomes within neighborhoods. BDFI work includes Hope Starts Here, Detroit’s Early Childhood Partnership that has engaged families, businesses, child education and health experts, and the larger community in creating a vision to ensure that children are born healthy, prepared for kindergarten, and on track for success by third grade and beyond. Educational Service Centers (ESCs) are dedicated to providing school districts with professional development, technology, support, planning, and administrative services that help improve student learning, enhance the quality of instruction, expand equitable access to resources and maximize operating and fiscal efficiencies. Enterprise Ohio works with partners to create and advocate for affordable homes in thriving communities linked to good schools, jobs, transit and health care. They lend and grant funds, provide technical assistance, finance development and manage and build affordable housing, while shaping new strategies, solutions and policy, such as the Housing First Initiative. First Things First was established to help provide greater opportunities for all children five and under in Arizona to grow up ready to succeed. First Year Cleveland is a community collaboration of expectant parents, parents, community leaders, philanthropic organizations, government entities, health providers, educational institutions, nonprofits, faith-based and business entities. Its mission is to mobilize the community through partnerships and a unified strategy to reduce infant deaths including racial disparities. The Foundation for a Healthy St. Petersburg was established to improve the health and well-being of the St. Petersburg community through initiatives that create sustainable, effective improvements to quality of life. The Franklin Department of Job and Family Services (FCDJFS) is a county, state and federally supported agency responsible for basic financial, medical and social services programs. groundWork™ is a nonprofit, nonpartisan advocacy organization that advances quality early learning and development as the most transformative strategy to improve school outcomes, increase the life-long success of Ohio’s children, and lay a strong foundation for economic prosperity in our state. HMS is the nation’s leader in cost containment, program integrity, and coordination of benefits solutions for government-funded and commercial healthcare entities. J. Marion Sims Foundation partners with community members who work to make a lasting impact on the health and well-being of their community. The J. Marion Sims Foundation focuses on grant making in the following areas: responsive grants, adult literacy transition grants, and teachers’ pet grants. 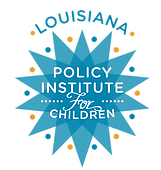 The Policy Institute for Children advances policies to ensure that Louisiana’s young children are ready for success in school and in life. Mecklenburg County government serves over 1 million residents throughout Charlotte, Cornelius, Davidson, Huntersville, Matthews, Mint Hill & Pineville, NC. It is responsible for addressing the County’s needs, especially in the areas of health, education, welfare and mental health. It seeks to create a community of pride and choice for people to live, work, and recreate. The National Association for the Education of Young Children (NAEYC) is a professional membership organization that works to promote high-quality early learning for all young children, birth through age 8, by connecting early childhood practice, policy, and research. The association comprises nearly 70,000 individual members of the early childhood community and more than 300 regional Affiliate chapters, all committed to delivering on the promise of high-quality early learning. The National Association of State Boards of Education exists to serve and strengthen State Boards of Education in their pursuit of high levels of academic achievement for all students. The Ohio 8 Coalition is a strategic alliance composed of superintendents and teacher union presidents from Ohio’s 8 urban school districts – Akron, Canton, Cincinnati, Cleveland, Columbus, Dayton, Toledo, and Youngstown. Combined, the districts comprise 12% of Ohio’s total K-12 student population. PRE4CLE is a plan to expand access to high-quality preschool to children in the City of Cleveland. PRE4CLE will work with the community to connect parents and families to available high-quality preschool opportunities. Read the case study here. Southeast Sustainability Directors Network (SSDN) is a professional network of local government sustainability officials in the Southeast U.S. that collaborate to accerlerate the adoption of sustainable best practices across the country. SSDN participants work together by sharing best practices, implementing multi-city collaboration projects, and building a nework of trusting relationships between peers. The O’Neill Foundation partners with nonprofits to improve the quality of life for families and communities, in places where O’Neill family members live. A Place 4 Me (AP4M) is a cross-sector initiative that harnesses the strengths and resources of its partners to prevent and end homelessness among young adults age 15 to 24 in Cleveland/Cuyahoga County. Read the press release for the AP4M homelessness symposium here. The BUILD Initiative works with early childhood leaders within states and nationally to better prepare young children to thrive and succeed. They support state leaders from both the private and public sectors as they work to set policy, offer services and advocate for children from birth to age five. Care Alliance, a nonprofit community health center aims to provide high-quality, comprehensive medical and dental care, patient advocacy and related services to people who need them most, regardless of ability to pay. CEELO strengthens the capacity of State Education Agencies (SEAs) to lead sustained improvements in early learning opportunities and outcomes. The Centralina Workforce Development Board and NCWorks Career Centers are committed to partnerships that help our region’s businesses and workers become a competitive force in our global economy. Charlotte Works brings workforce, economic development, educational and industry partners to the same table, aligning the workforce system by strengthening partnerships, guiding policy and promoting career pathways. The Department of Community Programs at the City of Little Rock provides the community with quality programs that utilize citizen involvement, proven practices, and standardized processes with the goal of improving positive outcomes and the quality of life for the children, youth, and families of Little Rock. Columbus City Council is responsible for adopting annual operating and capital budgets, city contracts and enacting the Columbus City Codes on behalf of 850,000 residents. Columbus City Schools is Ohio’s largest public school district, serving the needs of more than 51,000 students in 109 schools. CSW catalyzes nationwide transformative change in education, economic, and workforce development through research and action. The Cuyahoga Community College Foundation raises funds for student scholarships and educational program development. The Cuyahoga County Council is an 11-member body elected by residents of each council district. The Council makes policy decisions for the effective functioning of County government and is a link between government agencies and citizens. Emerging Practitioners in Philanthropy (EPIP) works to to empower emerging leaders and elevate philanthropic practice in order to build a more just, equitable and sustainable world. They do this through professional and leadership development, advocacy and innovation, and community building. The Early Childhood Investment Corporation was established in 2005 to coordinate and deliver early childhood development and child care programs and functions throughout the State of Michigan. EYI engages parents, organizations and community leaders who can make a difference in the lives of children through innovative programs, public education, research, and advocacy. Every Child Succeeds (ECS) prepares new mothers and their children for healthy, successful lives. ECS offers Greater Cincinnati and Northern Kentucky families support to ensure an optimal start for their children. ECS represents a collaborative evidence-based home visitation program to help parents create a nurturing, healthy environment for their children. Following recent legislative activity related to housing issues at Ohio’s Statehouse, the Miami Valley Fair Housing Center and Toledo Fair Housing Center are working in partnership to develop statewide Fair Housing Coalition that will seek to strengthen and preserve Ohio’s communities by protecting Ohio’s fair housing laws, expanding protected classes at the state level, and educating state policymakers on fair housing issues. The Gaston County Workforce Development Board (WDB), a public-private organization, helps connect talent to jobs. Their mission is to help employers meet their workforce needs, and help individuals find jobs and build careers. The mission of Idaho AEYC is to advance Idaho’s early learning profession and advocate for children, families and those who work on behalf of young children. Their Building Idaho’s Early Learning Foundation project, funded by the W.K. Kellogg Foundation, aims to engage communities across Idaho regarding the importance of high-quality early learning programs for children. The Health Foundation for Western & Central New York (HFWCNY) sparks lasting change in health and health care across western and central New York with a special focus on young children, older adults and the systems serving them. The Housing First Initiative seeks to produce sufficient, permanent supportive housing apartments to end long-term and chronic homelessness in Cuyahoga County.The Initiative brings together housing and human services providers, advocates for the homeless, public sector systems and the philanthropic community and draws on local and national expertise and experience. The Mental Health & Addiction Advocacy Coalition (MHAC) fosters education and awareness of mental health and addiction issues while advocating for public policies and strategies that support effective, well-funded services, systems and supports for those in need, resulting in stronger Ohio communities. The Mt. Sinai Health Care Foundation seeks to assist Greater Cleveland’s organizations and leaders to improve the health and well-being of the Jewish and general communities now and for generations to come. National Development Council (NDC) works to increase the flow of capital for investment in low-income communities. NDC directs capital to support the development and preservation of affordable housing, the creation of jobs through training and small business lending, and the advancement of livable communities through investment in social infrastructure. The Institute brings together city and state agencies, a consortium of private funders, and the nation’s largest urban university to support the development of all early childhood educators in New York. The Port of Cleveland is the only local government agency whose sole mission is to spur job creation and economic vitality in Cuyahoga County, Ohio. Since 1989, PCA Arizona has been a leader in bringing research-based, prevention services to communities throughout Arizona to ensure children grow up safe and healthy, free from abuse and neglect. In 2015, PCA Arizona prevention services will reach over 45,000 young children and their families with parent education, home visits, and child welfare system improvements. Forward Promise is a $11.5 million initiative of the Robert Wood Johnson Foundation focused on promoting opportunities for the health and success of middle school- and high school-aged boys and young men of color. Read the case study here. Sisters of Charity Foundation of Cleveland works to improve the lives of those most in need with special attention to families, women, and children living in poverty. The mission of Smart Start is to advance a high quality, comprehensive, accountable system of care and education for each child beginning with a healthy birth. Smart Start brings together all the people involved in a young child’s life—families, teachers, doctors, caregivers, social workers, and many others—to ensure every child has all they need for healthy growth and development. Since 1976, Towards Employment has helped more than 122,000 people prepare for a job, get a job, keep a job, and move up the career ladder through job readiness training, placement, retention and supportive services provided in a comprehensive and responsive manner.